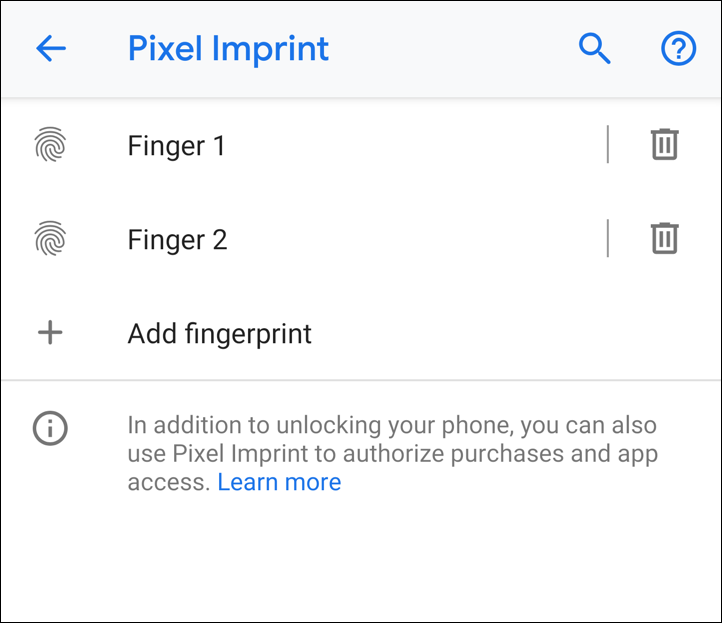 How Do I Add a Second Fingerprint to My Android Phone? 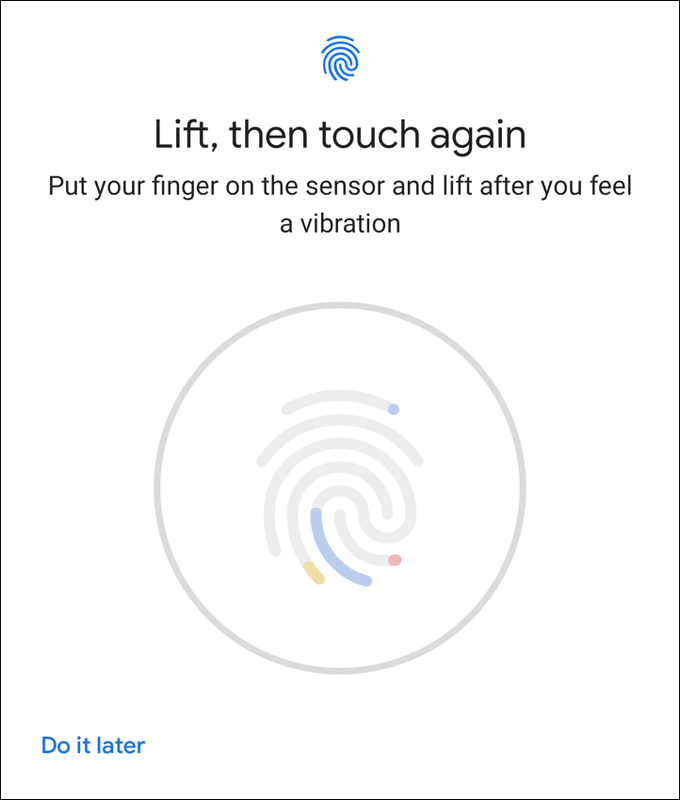 My girlfriend keeps bugging me that she wants to be able to unlock my Android phone with her fingerprint. I’m fine with adding her, but how do you add a second fingerprint? Running Android 9.0. What I always recommend with security access is that you clearly document what you’ve done so that if you go back in a few weeks, months or even years, you’ll know what’s going on and whose fingerprint is whose. 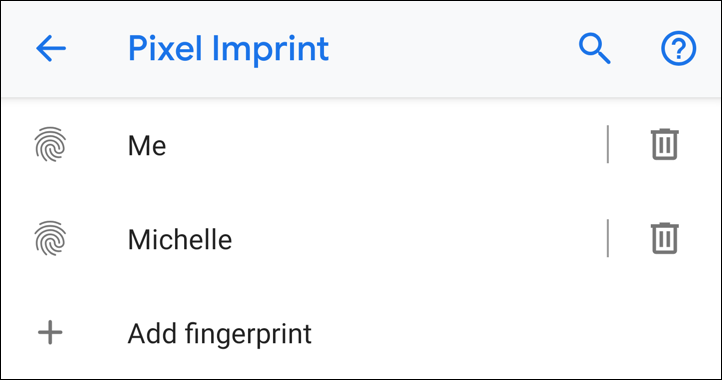 As part of this tutorial, therefore, I’ll show you how to assign mnemonic names to the different fingerprint scans and even how to delete a fingerprint if things veer off course with your girlfriend. Can’t be too safe and secure, right? 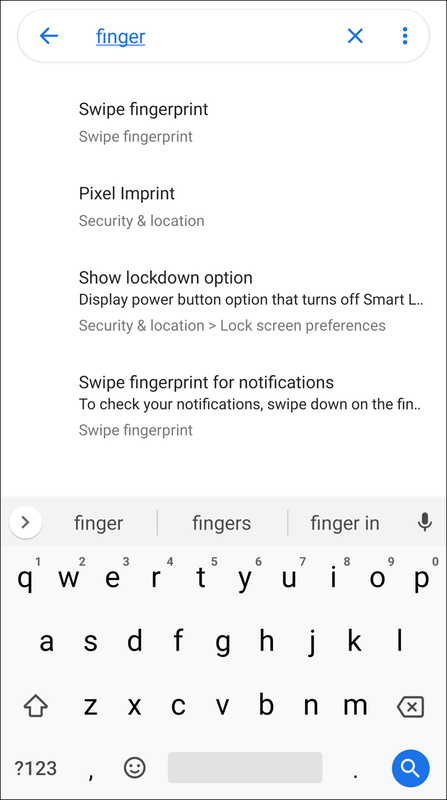 There are a number of options, including “Swipe fingerprint for notifications”, something I believe is unique to the Google Pixel 3 at this point. You guessed it, I’m using a Pixel 3 XL for my testing and demonstration too. That’s really all you need to do, so tap “Done”. Then again, remember earlier I said it’s smart to record what you’ve done so you can keep track later on when you might migrate phones or might need to get rid of the second fingerprint for some reason or other? Let’s do that. And, of course, if things go south with Michelle, I can delete her fingerprint and prevent her from unlocking my phone by simply tapping on the trashcan icon. Easy enough! That’s it. 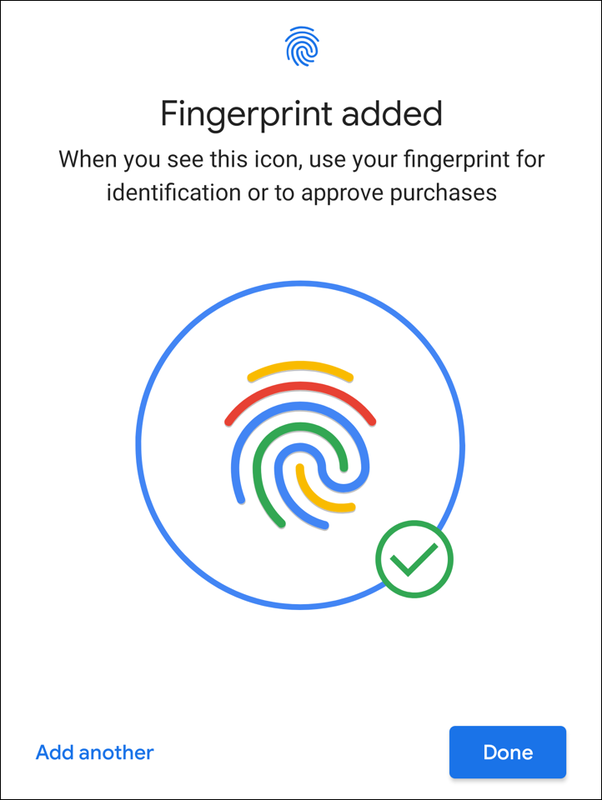 Now you know everything you need about fingerprint scanning and security on your Android Pie smartphone or tablet. Pro Tip: We have lots and lots of Android help and tutorials on the site, please do check it all out while you’re here!